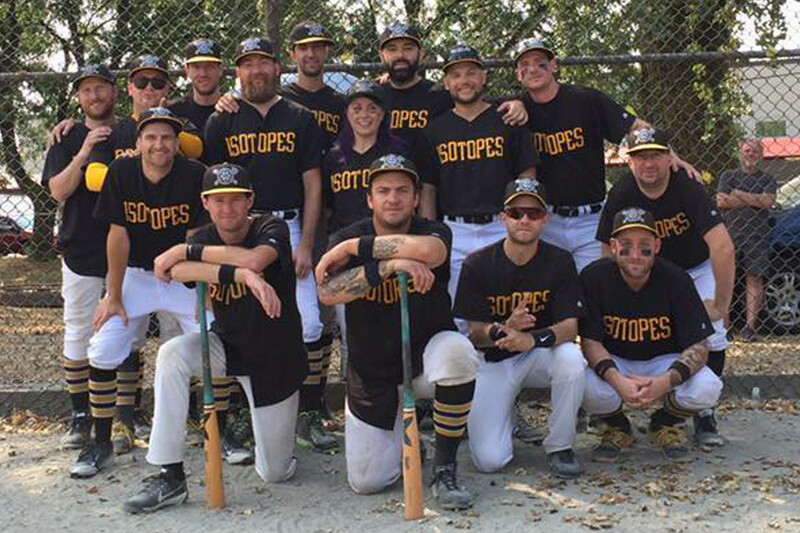 Baseball punks The Isotopes have announced they will be taking a year off from touring and will be focusing baseball. The band has started a real baseball league in Vancouver, Canada called East Van Baseball League. The league is a sandlot style baseball league featuring some familiar punk names as players in various team rosters, members of The Real McKenzies, Needles//Pins, Daggermouth, Isotopes Punk Rock Baseball Club, The Greatest Sons, Japandroids, and many more are participants in this league. The band plans on being back on the road sometime in 2019. The Isotopes released 1994 World Series Champions in 2017.